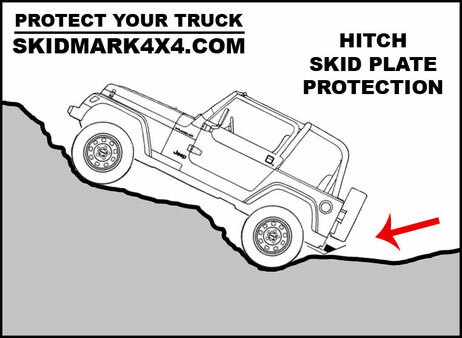 Skid Plates For Your 4x4 Off Road Jeep, Truck or SUV! Each 12 inch wide skid plate is bent in a 200 ton press brake to form an extremely strong ground contact point. The lower plate is designed to rest close to your receivers steel sleeve for extra support. We utilize state-of-the-art laser cutting, deep penetration MIG welding and 1/4 inch plate steel to create an extremely strong product. 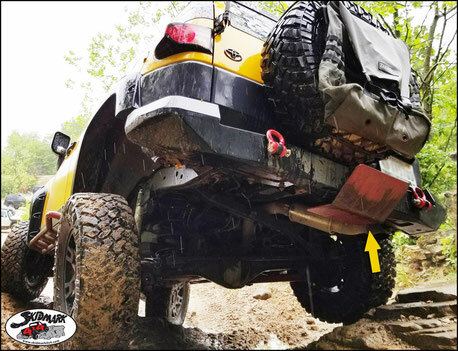 Fits most Jeeps, Trucks and SUVs with a 2 inch hitch receiver. Proudly manufactured in the USA. Version 2 now offers many new features. 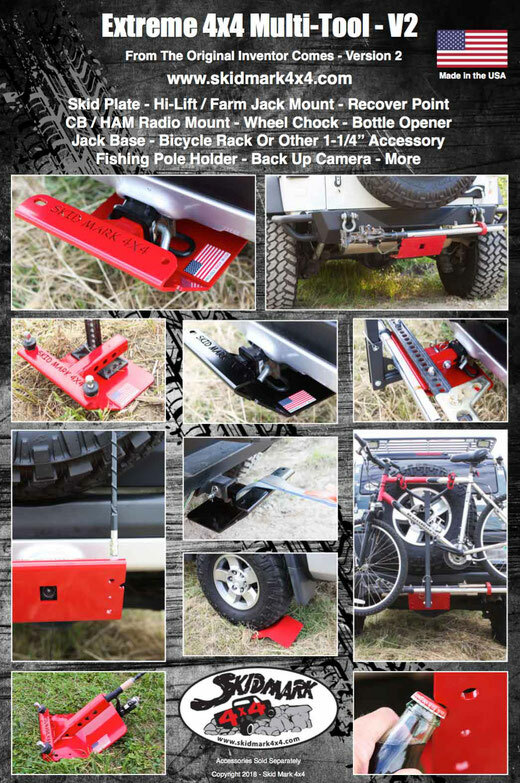 Fits Jeep, Toyota, Trucks, Overlanding Rigs and more.